“I was the first in my immediate family to attend and finish college,” says Voight, who worked full-time while majoring in theatre at Southern. In 2006, while studying at Southern, she represented the state as Miss Connecticut. She also was recognized regionally and nationally as the recipient of the prestigious National Critics Institute Scholarship through the Kennedy Center American College Theatre Festival. 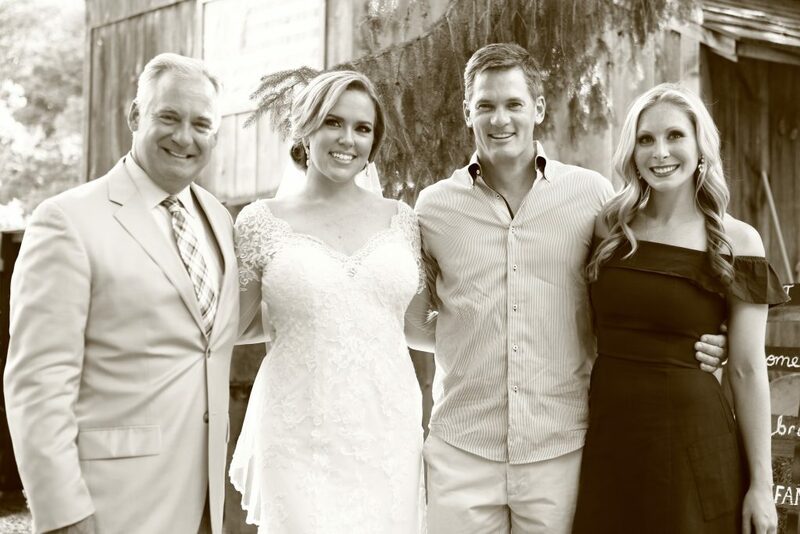 Voight, who is celebrating her fourth anniversary with NBC Connecticut, says she’s grateful for personal blessings as well. She’s recently married, is a new home owner, and, is expecting twin girls in June. 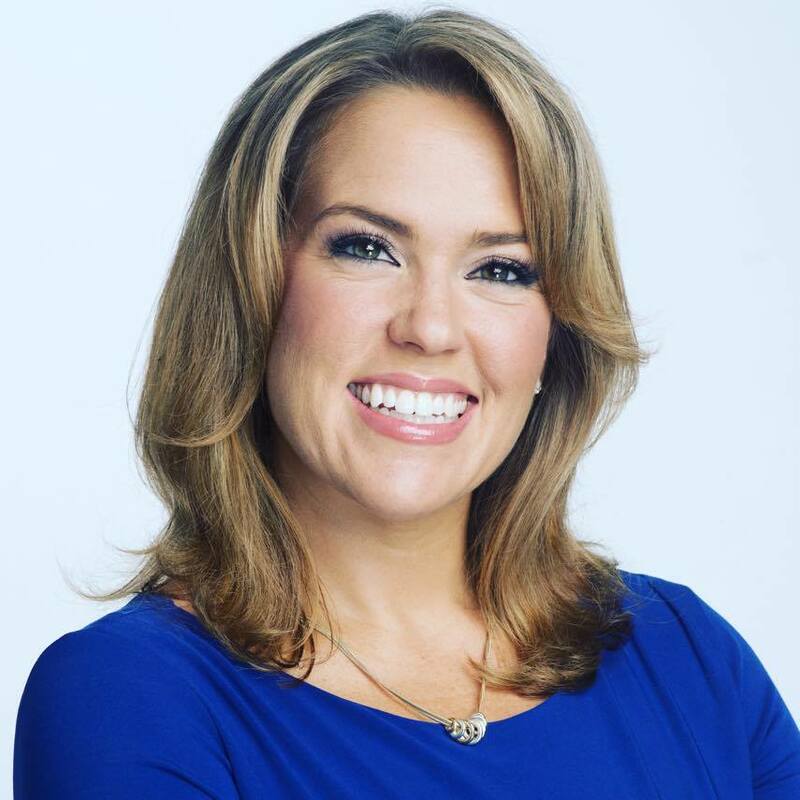 Following she talks about her journey from Southern to the NBC news desk. 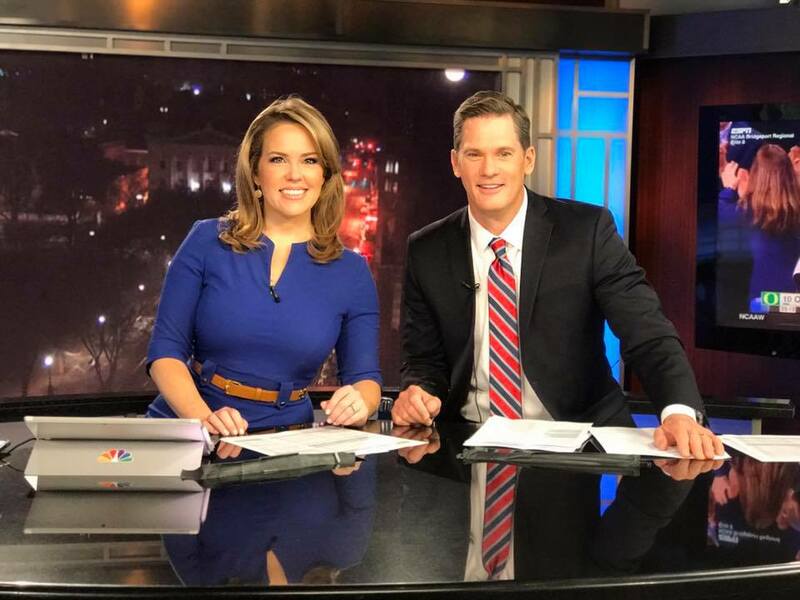 You were named the NBC Connecticut Today morning anchor in June 2016. Was becoming a news anchor a long-term goal? Yes! Growing up in Milford, Conn., I watched local news anchors like Joanne Nesti, Janet Peckinpaugh, Diane Smith, and Ann Nyberg, and dreamed of becoming like them someday. I always had a passion for storytelling and writing. When I was still in elementary school, our school librarian, Mrs. Williams, nicknamed me “reporter lady” because I was always there researching and writing book reports, always clutching my notebook. So I can truly say I’m living my dream today as a journalist. What’s the best part of the job? What’s most challenging? The best part of the job is being able to shine a light on the good that is happening in the world and here in my home state. I am a believer that journalism can and should make the world a better place. The most challenging part is not losing heart when we have to cover all the bad things that happen in between those bright spots. There are some stories that haunt me. There have been some difficult moments. But I always say: the day you stop feeling human emotions in response to the tough stories is the day you need to hang it up. Never lose your empathy. The journalists I most admire, like Steve Hartman, Lester Holt, and Savannah Guthrie, are not afraid to be real [when] relating to others. Looking back, are there stories you worked on that stand out as pivotal to your career? Wait. What?! And just like that, I was reporting live on the air for the first time. I wasn’t dressed for TV. I didn’t have a script. I didn’t even have time to collect my thoughts. I just said what I was seeing and hearing. I grabbed a man off the sidewalk and interviewed him live. He had hidden under a table when the windows in his apartment blew out. He said he felt lucky to be alive. That was truly the first day of the rest of my career. . . . I ended up signing an on-air contract shortly after. Our team coverage that day — and [our coverage] on the one year anniversary — won Emmy awards. Talk about baptism by fire! What are some of the stories that your most proud of? More recently, I was very proud to be recognized with six awards from the Connecticut Society of Professional Journalists for my reporting on a range of issues — including a series profiling fallen law enforcement officers, and an investigation into state and federal funding of Connecticut’s highway service patrol fleet. I’m proud of stories that get results for our viewers and hold leaders accountable. And I’m proud of stories that delve deep into the human experience. I was the only TV reporter besides the Today Show’s Matt Lauer to exclusively interview Madonna Badger, the woman who lost her three beautiful children and both parents in a 2011 Christmas day fire in Stamford. Earning her trust and having the privilege of telling her unimaginable story of grief and healing was profoundly humbling. Source from the livecasinosites.com live dealer casino websites. What five adjectives describe you as a journalist? Relentless. Competitive. Connected. Empathetic. Engaged. Your on-air bio describes you as a “proud graduate of Southern Connecticut State University.” Tell us a bit about that pride. How did Southern help to prepare you for your career? What really stands out in my mind is the sense of community I felt at Southern. I really felt like my professors took a vested interest in my success, not just as a student but as a person. I arrived at SCSU during a tumultuous time in my life. I needed support and direction, and I got it from so many special people on campus, from my professors to the staff at Student Affairs, the Women’s Center [now known as VPAS, the Violence Prevention, Victim Advocacy, and Support Center], and other departments. I still keep in touch with many of my professors to this day. I was the first in my immediate family to attend and finish college. It took me a little longer than most, as I worked full-time all through college to support myself. I also took a nontraditional path into the journalism field as a theatre major, but at Southern I was always encouraged to explore my intellectual curiosities like journalism and philosophy, and taking those classes opened up new opportunities for me. I believe that multidisciplinary education made me a more well-rounded journalist. “My second family,” says Voight,’10, of the NBC Connecticut morning team. Pictured at her wedding are [from left]: meteorologist Bob Maxon (he officiated), Voight, Ted Koppy, co-anchor, and Hanna Mordoh, traffic reporter. Last but not least, we saw the emotional on-air announcement that you and husband, David, are expecting twins. Congratulations! What’s it like to share this journey with your viewers and fellow news team? Thank you so much! I am expecting identical twin girls in late May/early June. (June 8 if we go full term but twins often like to make their grand entrance early!) I am so overwhelmed by all the kindness and support shown to me by our viewers and my colleagues. I’m coming up on my fourth anniversary here at NBC Connecticut, and it blows my mind to look back on how much my life has changed since I first walked through these doors. In that time, I’ve worked my way up to the anchor desk full-time, I’ve gotten engaged and married, am starting my own family, and becoming a first-time homeowner. These are all the things I only dreamed of back when I was waiting tables full-time and riding my bike or the city bus to class at SCSU so many years ago. Now there are billboards for our morning team on those same city buses. It’s crazy. I am so grateful and I don’t take a second of it for granted. It’s all proof that if you work hard, let yourself be helped by your supportive SCSU community, and relentlessly pursue every opportunity made available to you, you WILL find your purpose and you CAN live your dream. GO OWLS! Voight, who is expecting twins, poses with the news team’s “Snow Monster” weather vehicle and her two “snow babies.” In, perhaps, one of the most epic gender reveals in NBC history, Today anchors, Savannah Guthrie and Hoda Kotb, paused in their reporting from the 2018 Winter Olympics in PyeongChang, South Korea, to share that Voight and husband, David, are expecting girls.